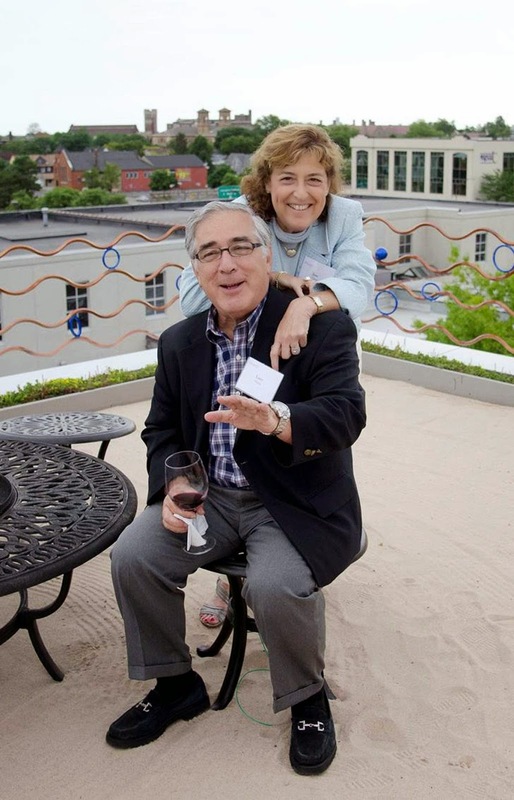 One year after the death of Larry and Jane Glazer in their plane, the National Transportation Safety Board is continuing to investigate the incident and officials there declined to estimate how much longer their inquiry will take. "I don't want to compromise any part of the investigation at all, or put any expectations in their heads, because I know the family is absolutely devastated by this and I want to do them justice by giving them a good solid detailed investigation," said NTSB Air Safety Investigator Stephen Stein in Seattle. "I can't release any information. I can't release the probable cause or any sort of analysis until the reports are released and publicly available," he said. 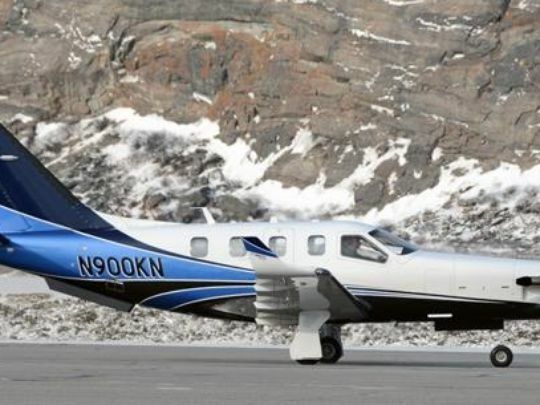 The prominent Rochester couple was flying to Florida on Sept. 5, 2014, when their plane apparently lost cabin pressure, lowering oxygen levels and rendering the couple unconscious. The plane, guided by auto-pilot, continued south for several hours. The aircraft eventually ran out of fuel and crashed into the sea about 12 miles north of Jamaica where the water is up to 10,000 feet deep. Initially, attempts to find the plane were unsuccessful. But the Glazers' family hired a Maryland firm, Eclipse Group, which found much of the plane in January. Larry Glazer was chief executive of Buckingham Properties, one of Rochester's leading property management and development firms. Jane Glazer was founder and chief executive of QCI Direct, which sells home, kitchen and personal care products through catalogs and the Internet. They were noted philanthropists and very active in the local Jewish community. "The couple embodied the spirit of entrepreneurism so prevalent in the Rochester and Finger Lakes region," Rochester Business Alliance CEO Bob Duffy said in a statement released Friday afternoon. "Larry was in line to serve as the next RBA chairman of the board. His voice on behalf of business is greatly missed. While Jane and Larry can never be replaced, it is heartening to know the Glazer family carries on their legacy. Jane and Larry's impact on our community will be felt for many, many generations to come." Buckingham Properties is now being run by partners Ken Glazer and Rick Glazer, sons of Larry and Jane Glazer, and Dan Goldstein. The Glazers also are survived by their daughter, Mindy MacLaren. Stein said the investigation so far has included examinations of plane parts, plus a review of production and maintenance records. NTSB workers also are looking into the medical, air traffic control, and weather angles of the case. "There's a variety of areas of expertise that were pulling from," Stein said. 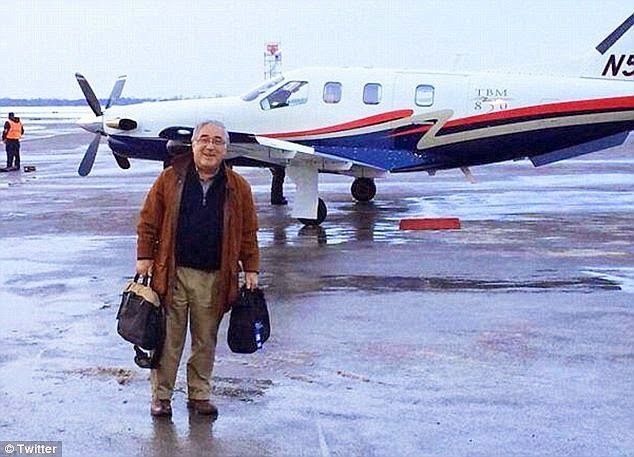 On September 5, 2014, a private aircraft with two persons on board, USA citizens, Larry and Jane Glazer, was reported to be unresponsive to air traffic control directions, while in flight from Rochester, New York, to Naples, Florida, USA. The aircraft was deemed to be proceeding without pilot control, when it disappeared into the sea approximately 19 miles north of Port Antonio, Jamaica, in about 3,000 metres of water, in the early afternoon. A search of the area was immediately conducted by the Jamaica Defense Force Coast Guard, JDF Air Wing and US Coast Guard. However, after two days, the search was discontinued, based on the assessment that there was a minimal probability for a successful rescue and/or recovery operation, under the existing conditions. The Jamaica Civil Aviation Authority (JCAA) has responsibility for the flight control region over which the aircraft was lost. The Authority collaborated with the US Federal Aviation Administration (FAA) and the US National Transportation Safety Board (NTSB) in the aftermath of the occurrence, and lead agency investigative responsibility was designated to the US NTSB. This arrangement is consistent with international practice, where the State of the occurrence can delegate investigative responsibility to another (involved) State. The family of the Glazers retained the services of the ECLIPSE Group, an experienced recovery organisation, to undertake the salvage of the aircraft and to search for the remains of their loved ones. With the cooperation and collaboration of the Government of Jamaica, through the services of the Maritime Authority of Jamaica (MAJ) and the Jamaica Civil Aviation Authority, the Managing Director of the ECLIPSE Group mobilized a highly specialized, technical and sophisticated team, utilizing the platform of the specially adapted ship, the MV OCEAN PIONEER. The salvage operation was conducted to identify and recover the remains and aircraft wreckage from the seabed, at a position 19 miles (nautical) north of Port Antonio, Jamaica. The operation commenced on Tuesday, January 13, 2015 with technologically-advanced, underwater detection and recovery equipment from the vessel MV OCEAN PIONEER. The debris from the aircraft along with human remains was recovered unto the OCEAN PIONEER, where the ECLIPSE Group team carried out post-recovery and preservation arrangements. On Monday, January 19, 2015, the operation was terminated and the MV OCEAN POWER is now on passage to the USA, where the various authorities will observe the necessary post-incident protocols consistent with the national requirements of the USA. The detailed accident investigations will follow. Joint Press Release by the Jamaica Civil Aviation Authority (JCAA) and the Maritime Authority of Jamaica (MAJ), January 20, 2015.